Big shout out to Compass for this milestone achievement x Aruliden for the collaborative effort! We saw this article on Fast Company and just HAD to share. Well done Everyone!! Featured images c/o Compass. In the presence of this final prototype, after months of development, Matt Spangler, Compass chief creative officer, can barely contain his excitement. In jeans and a denim shirt, he detaches the ring from its base, to show how they connect. “The whole thing is modular,” he says. “This piece right here—this slides out.” With the click of a button, he animates the LED lights, which cascade down the sides of the ring. Turning the sign around, he demonstrates how to detach the printed piece in the center, using subtle tabs. In the future, if cost allows, he envisions a fully digital version that agents can update in real time. 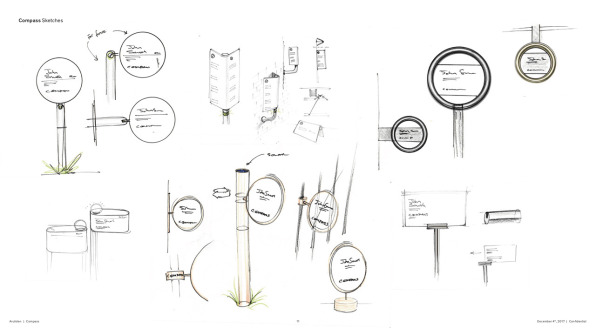 Right now, Compass’s mobile development team is making plans for an augmented reality iteration.“Say it was just a plot of land—you could see a house modeled on the land, you could change the color of the house with paint, you could see all the neighborhood data, you could see restaurants that are recommended,” Spangler says, painting the vision. 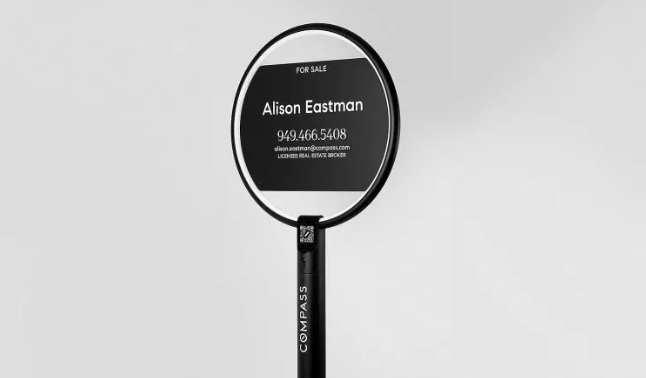 Compass agents sell trophy properties and are willing to invest in trophy-worthy tools, or so the thinking goes. 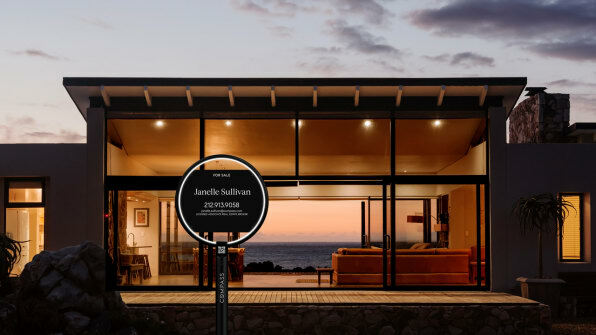 The startup expects that its 4,100 agents will snap up the first run of signs; each one will cost roughly $1,000 and ship October 1. (As long as agents charge the batteries, signs can, in theory, last for years.) 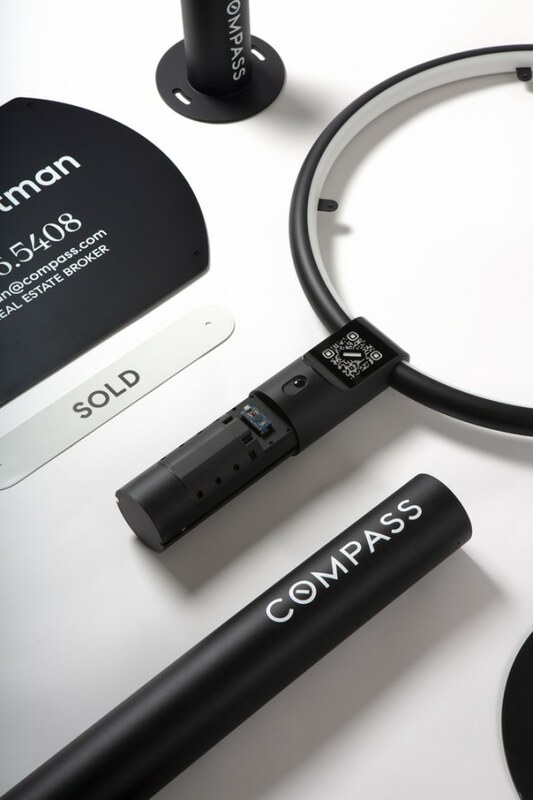 During feedback sessions, Compass says, over 90% of agents expressed interest in buying one. 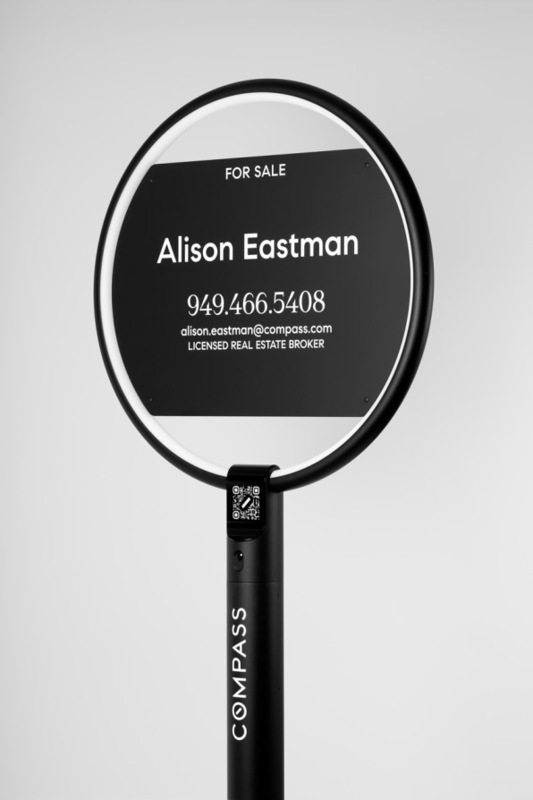 As an added incentive for agents to place an order, Compass has negotiated a deal with Waze that will showcase sign locations within the Waze app, encouraging prospective buyers to drive by or attend an open house. During Oakley Signs and Graphic’s early years, buying a home in the U.S. was both affordable and desirable. In 1983, the year I was born, roughly two-thirds of Americans owned a home, up from a low-point of 44% in 1940. But these days, buying a home is increasingly out of reachfor many Americans. Homeownership rates have been in decline since the Great Recession, when banks pulled back their mortgage lending. In high-demand markets like New York and San Francisco, average home prices top $1 million. See the full article via Fast Company here. Featured images courtesy of Compass.